The Time in Between beckons me this time of year. Six days, the time between December 25th and New Year’s Day. During the holidaze, I imagine time as unlimited or suspended. It is a time for all of us to catch our collective breath. A time for work-life balance, where priorities are lined up in perfect order. From my perspective, the time in between holidays, right before the New Year overflows with ideas and plans. I’m one of those employees who always works this time of year because no one interrupts my work rhythm. I can get so much done! Time to catch up with projects and the never-ending items on my to do list. Oh, and making personal plans during this frenetic week? No problem. Plenty of time to squeeze in an extra lunch, a coffee-talk, or time for a long relaxing phone call. My visualization of these few days is expansive. Imagine looking into a brilliant sunrise or stunning sunset. Anything is possible. As you can imagine, this fanciful view of expanded time never truly happens. My doodle of the Time in Between captures the real picture. Beyond ambitious work expectations for myself, I manage to spend some time with family and friends and get a few extra hours of rest. Yay! I also catch up on reading and binge watching holiday movies. These are good things, right? Yet, I am annoyed by the reminders of my improbable work timelines. The Calm app on my iPhone tells me to breathe. I attempt to relax a little. Setting unrealistic goals is self-sabotage. Therefore, this results in anxiety and guilt about what should have been accomplished. 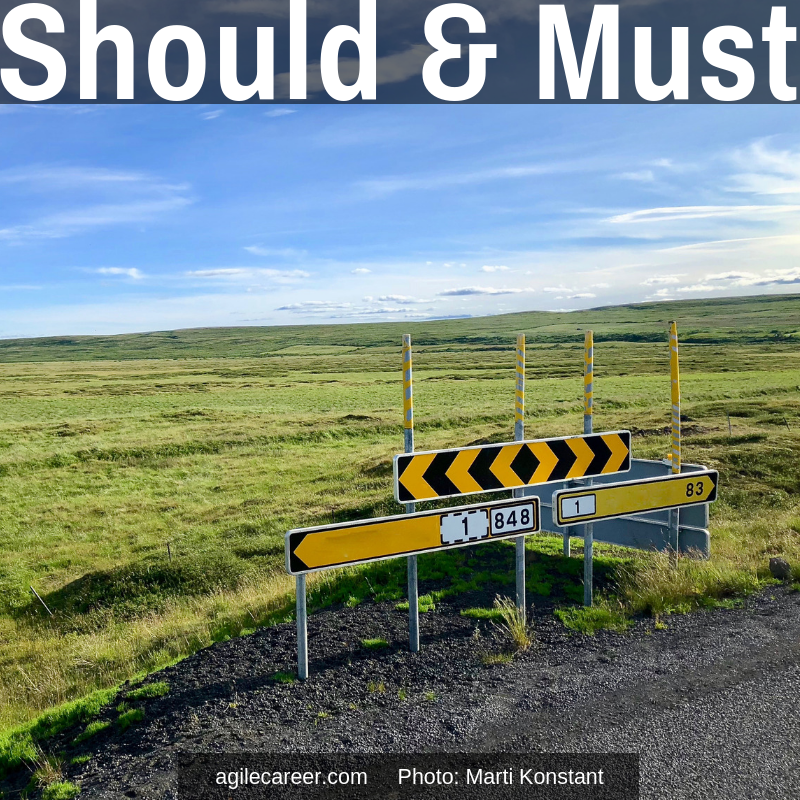 Read about the downside of should in this post. As a result, these behaviors also lessen the potential for joy or being present for what’s important to you. Oh, and another challenge. The lofty goals are embedded into a hectic schedule of family gatherings. These events are compressed into 2-3 days of preparation, eating too much food, shopping, and travel. And let’s not forget the creepy companion during all of these parties is the inevitable potential for a cold or the flu. Even Zuzu, the youngest child of George and Mary Bailey in the classic holiday movie, Its a Wonderful Life, had the sniffles. 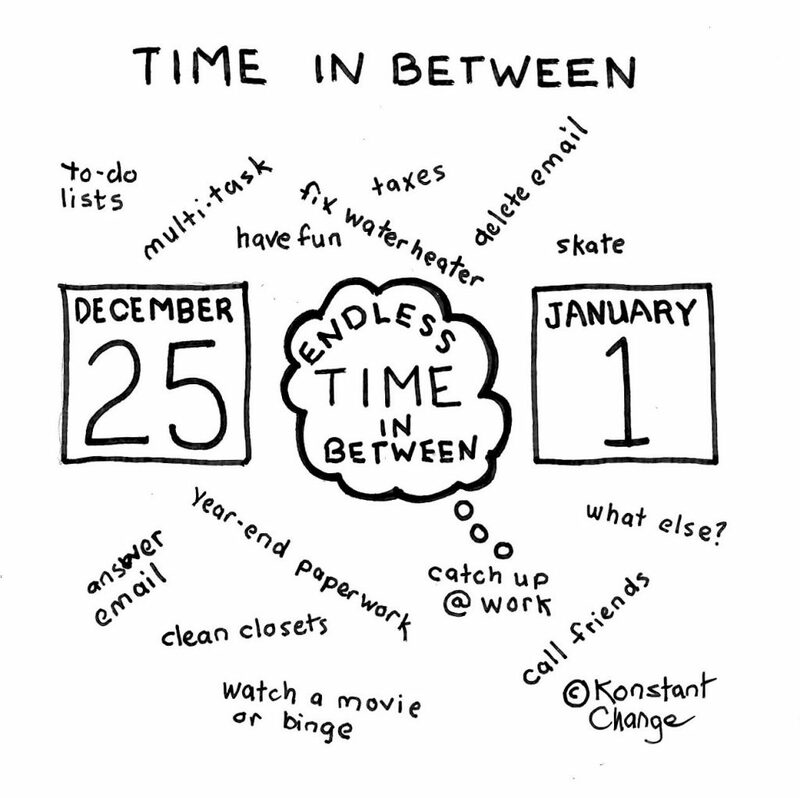 Consequently, I decided to break the cycle of unrealistic time management for six days heading into the new year. The time in between the holidays is not without limits. Work-life balance is indeed important, especially this time of year. With six days of honest time management and ruthless re-prioritization, I will give myself the gift of a free pass, a “get out of jail free” card. Remember Monopoly? That card was used to break yourself out of jail. In other words, I will slash my 30-hour timeline down to seven hours of productive work between now and the New Year. The rest of the time is for living, loving, thinking, and breathing. After all, isn’t this what I’ve worked hard for all year long? Due to this enlightened view, I will change the narrative of my busy schedule. When my husband and I travel to Indiana tomorrow for an overnight trip to see our friend’s daughter perform in a play, work will be a distant memory. Instead, I will focus on the lovely experience, rather than the list of things to do. I will adopt an in the moment attitude for my journey. And enjoy the show. Viewing the Navy Pier fireworks from my window. What about you? What is your strategy for downtime, work-life balance, or holiday break? Even if your holiday and work timeframes may vary from mine, how will you prioritize? Most importantly, I look forward to connecting in the new year, committed to a more realistic view of time management and priorities.